Alright, Fish Fryers – let’s do some visualization. You’re wearing some kind of device. It’s monitoring your vital signs, it’s measuring your activity, and it knows if you’ve been naughty or nice. What names come to mind? Fitbit? Jawbone? BodyMedia? 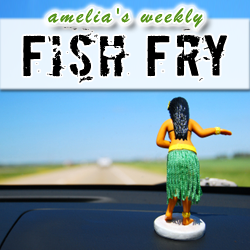 In this week’s Fish Fry, my guest is none other than Ivo Stivoric. He’s the former co-founder, CTO, and VP of New Products at BodyMedia, the current Vice President of Research and Development at Jawbone, and a Croatian dancer extraordinaire. Join us, won’t you?